The price of a home in Canada increased 4.0 per cent year-over-year to $631,223 in the fourth quarter of 2018, continuing the recovery from the most significant housing correction since the financial crisis. Condominiums continued to see the highest rate of appreciation nationally when compared to the detached segment, rising 7.2 per cent year-over-year to $447,915. The Canadian economy is performing well overall, with pockets of uncertainty. Persistently weak oil prices driven by domestic market access bottlenecks and global supply gluts have hit Western Canada hard, and trade tensions between China and the U.S. in particular are impacting consumer confidence across the continent. The GTA was a story of contrasts. The City of Toronto experienced a strong rebound in the fourth quarter, while the surrounding areas remained relatively weak year-over-year. Prices in Toronto saw sizable increases, rising 8.8 per cent compared to 3.4 per cent gains for the GTA more broadly. The aggregate price of a home in the Greater Montreal Area passed the $400,000 mark, rising to $407,230, an increase of 4.1 per cent from the same period last year. This represents a higher rate of appreciation than that seen in both the GTA and Greater Vancouver, and above the national aggregate percentage increase. Home price appreciation in Greater Vancouver grew at a modest pace rising 2.1 per cent in the fourth quarter from the year before, to an aggregate price of $1,274,831. More affordable suburbs like Langley, Surrey, and Coquitlam that had seen double digit price growth in previous quarters grew at a more modest pace rising 2.4 per cent, 2.3 per cent, and 0.4 per cent respectively. A big thank you to all of our spokespeople from across the country for their contributions in providing regional perspectives. Regional insights can be found in both the national release and in city-specific releases. TORONTO, January 11, 2019 – According to the Royal LePage House Price Survey released today, year-over-year home prices made healthy gains in many regions across Canada in the fourth quarter of 2018, continuing the recovery from the most significant housing correction since the financial crisis. Once again, the Greater Montreal Area saw the highest year-over-year home price appreciation rate of the three largest Canadian metropolitan areas studied. The Royal LePage National House Price Composite, compiled from proprietary property data in 63 of the nation’s largest real estate markets, showed that the price of a home in Canada increased 4.0 per cent year-over-year to $631,223 in the fourth quarter of 2018. When broken out by housing type, the median price of a two-storey home rose 3.9 per cent year-over-year to $745,007, while the median price of a bungalow climbed 1.5 per cent to $516,950. Condominiums continued to see the highest rate of appreciation nationally when compared to the detached segment, rising 7.2 per cent year-over-year to $447,915. 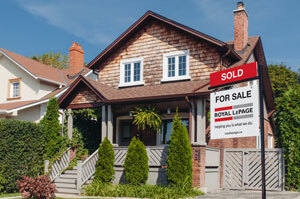 Royal LePage projected modest home price appreciation in 2019 in its recent forecast, expecting the aggregate price of a home in Canada to rise 1.2 per cent in Canada over the next year. On January 9th, the Bank of Canada decided to maintain its target for the overnight rate and reduced its forecast for annual GDP growth from 2.1 per cent to 1.7 per cent. “While some economists are adjusting their forecast for the economy as a whole, Canada’s real estate market is beginning to emerge from the correction that began a year ago. The national real estate market is stable and should see modest price gains by the end of the 2019,” said Soper. “House prices and home sales volumes were soft and slow last year; expect modestly better results in 2019,” said Soper. “That said, the underlying Canadian economy, and employment in particular, continues to impress. Job creation is beating expectations handily. The unemployment rate of 5.6 per cent is a 43-year low. “A silver lining in this cloud of uncertainty is the opportunity for young families to enter the market,” Soper continued. The unemployment rate is about half of where it was during the financial crisis. It is also important to note that actual retail-market rates for a five year fixed term mortgage, the most popular offering in Canada, sit at approximately 3.5 per cent today versus approximately 5.9 per cent a decade ago; a full forty per cent lower. “Employment is high, rates are low, and home prices are essentially flat. 2019 is shaping up to be a year of rare opportunities,” Soper concluded. Tight rental markets, record levels of immigration, and a wave of Millennials looking to buy their first homes are putting pressure on limited housing stock in many of Canada’s metropolitan regions. During the fourth quarter, buyers in Ontario continued to look beyond the GTA in search of affordability. Despite some price relief in the suburbs surrounding Toronto, buyers from the region are still venturing out to other Southern Ontario cities where price points are significantly lower. Of the regions studied in the Royal LePage National House Price Composite, Windsor and Kingston saw the highest appreciation rates in Ontario, rising 14.7 and 13.8 per cent year-over-year, respectively. Meanwhile, regions including Ottawa, Kitchener/Waterloo/Cambridge, and London saw strong aggregate price gains of 9.3 per cent, 9.0 per cent, and 8.9 per cent, respectively. The GTA was a story of contrasts. The City of Toronto experienced a strong rebound in the fourth quarter, while the surrounding areas remained relatively weak year-over-year. Prices in Toronto saw sizable increases, rising 8.8 per cent compared to 3.4 per cent gains for the GTA more broadly. Some of the surrounding suburbs, which saw rapid price increases in recent years, continued to slow, with declines in areas like Markham, Pickering, and Richmond Hill of 7.1 per cent, 5.6 per cent, and 4.9 per cent, respectively. In Quebec, the Greater Montreal Area’s real estate market continues to set the pace among Canada’s largest metropolitans, supported by continued high demand, healthy household income and population growth. Despite positive economic fundamentals, price appreciation for real estate in most of the province’s regions outside of the GMA still continue to be dampened by worker shortages as small businesses struggle to attract workers to their communities. On the other hand, worker shortages tend to put upward pressure on salaries, which could improve affordability. In the fourth quarter, the aggregate price of a home in the Greater Montreal Area passed the $400,000 mark, rising to $407,230, an increase of 4.1 per cent from the same period last year. This represents a higher rate of appreciation than that seen in both the GTA and Greater Vancouver, and above the national aggregate percentage increase. During this period, the median price of a two-storey home in the Greater Montreal Area rose 3.5 per cent year-over-year to $517,190, after surpassing the half-million-dollar mark for the first time in the third quarter. The condominium market in the area continued its solid performance this quarter compared to last year, rising 4.9 per cent to $328,254. British Columbia has been an economic outperformer in recent years, but economists are beginning to forecast slowing growth because of the cooling housing market. The relative unaffordability of major markets and the implementation of mortgage stress tests and provincial tax policies have dampened price growth in the province. Home price appreciation in Greater Vancouver grew at a modest pace rising 2.1 per cent in the fourth quarter from the year before, to an aggregate price of $1,274,831. More affordable suburbs like Langley, Surrey, and Coquitlam that had seen double digit price growth in previous quarters grew at a more modest pace rising 2.4 per cent, 2.3 per cent, and 0.4 per cent respectively. Despite weak oil prices and uncertainty in the energy industry, all cities studied in Alberta posted year-over-year price increases, with the exception of Fort McMurray, which saw a 9.4 per cent decline. The aggregate price of a home in Calgary and Edmonton rose 1.3 per cent and 1.6 per cent, respectively, to $484,462 and $385,550. Saskatchewan’s housing market was negatively affected by the weakness in the natural resources sector in the fourth quarter. The aggregate home price in Regina increased 0.1 per cent year-over-year, while the aggregate home price in Saskatoon decreased 1.7 per cent year-over-year. This represents a quarter-over-quarter decrease of 1.9 per cent and 0.5 per cent, respectively. Atlantic Canada remained strong, posting some of the largest price gains in the country in the fourth quarter. Moncton and Charlottetown posted the highest home price growth in the region, rising 12.6 per cent and 7.1 per cent, respectively, year-over-year. St. John’s was notably weak, with prices falling 2.6 per cent from the year before. Read more about regional trends here. The Royal LePage House Price Survey provides information on the three most common types of housing in Canada, in 63 of the nation’s largest real estate markets. Housing values in the House Price Survey are based on the Royal LePage National House Price Composite, produced quarterly through the use of company data in addition to data and analytics from its sister company, RPS Real Property Solutions, the trusted source for residential real estate intelligence and analytics in Canada. Commentary on housing and forecast values are provided by Royal LePage residential real estate experts, based on their opinions and market knowledge. Serving Canadians since 1913, Royal LePage is the country’s leading provider of services to real estate brokerages, with a network of more than 18,000 real estate professionals in more than 600 locations nationwide. Royal LePage is the only Canadian real estate company to have its own charitable foundation, the Royal LePage Shelter Foundation, dedicated to supporting women’s and children’s shelters and educational programs aimed at ending domestic violence. Royal LePage is a Brookfield Real Estate Services Inc. company, a TSX-listed corporation trading under the symbol TSX:BRE. For more information visit: www.royallepage.ca.